My initiation into working with survivors of sexual violence arrived during my first internship during graduate school. I interned at a local domestic violence shelter and quickly was introduced to the “power over another” dynamic that defines both domestic and sexual violence. Not only were my clients working through physical and emotional abuse in their primary relationships, but many of my clients also dealt with on-going sexual abuse as well. It was an initiation of fire working with so many of these strong, resilient women and it most certainly paved the way for the work I did after and that I continue to do now. After graduate school, I worked for three years at an eating disorder recovery center where unfortunately, so many clients disclosed sexual violence in their histories. Now that I am in private practice, sexual violence and the ensuing traumatic experiences my clients struggle with, is discouragingly common. In the ten years that I have been a therapist and the twenty years I’ve spent supporting personal empowerment, I’ve made a whole-hearted commitment to learning about and pursuing modalities to support the healing and integration of trauma. I am inspired by the strength and resilience my clients, over the years and currently, have exhibited. I seek to honor their courage by showing up as a loving and compassionate witness on their journey. Prior to my training as a therapist, I worked an Outward Bound instructor leading wilderness-based adventure trips in Colorado, California and South Africa. The students I worked with included youth at risk, educators, and men and women ages 14-64. My ten years as a mountaineering instructor in Colorado, California and South Africa shaped me into who I am today and no doubt, helps me to work more effectively, more creatively and more experientially with my clients. It is an honor and privilege to be amongst those courageous enough to step forward and voluntarily step into their wounds in order to heal them. Sexual violence touches all of us every day without question, whether we have been a victim to it or not. I have a young daughter who I am fiercely protective of and I so much want her to grow up in a world where she feels safe and protected. While I know that I can’t keep her from her soul journey, I also want her to know deep in her being that she will always have support, care and love. I feel this same way about my clients. Working with survivors is my way of contributing to the whole of society by supporting healing and wholeness amongst individuals that no doubt reverberate into the rest of their relationships, lives and communities. Honestly, I work with survivors because it is a way for me to translate my anger and sense of injustice that these things happen, into something more vital, more connected and more whole. 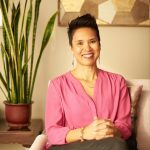 My approach in working with survivors of sexual violence uses several different modalities: Somatic Experiencing, mindfulness training, body-centered psychotherapy, expressive arts and creative movement and other experiential and contemplative practices that help clients connect to their soulful selves. My belief about healing and integration roots itself in the soul, and the soul’s mission to return to wholeness. It is easy to forget about our soulful selves when experiences such as trauma, loss, injustice and even day-to-day stressors force the soul to splinter or close off from life in order to protect our Sacred Wholeness. re-connecting to a sense of the Divine. Ultimately, transforming trauma into triumph and turning wounds into wisdom, are my intentions when working with survivors of sexual violence and/or traumatic responses. Currently, I’ve focused on more body-centered practices that help clients begin to feel safe in their bodies again as well as tapping into their body’s innate wisdom and ability to heal from trauma. I utilize Somatic Experiencing to treat trauma, along with Brain Spotting (with David Grand) and a body-centered expressive arts approach called SomaSoul (with Dan Leven). The initial stages of working with survivors however, is always to establish a sense of safety and trust in our relationship; without this, the client can do no significant work. Our mutual alliance can then become a touchstone for the client when beginning to address the deeper under-pinnings of their experience and pave the way for deep healing and integration to take place. I encourage clients to go at the pace they feel comfortable going while providing them with concrete grounding, self-soothing and self-regulation tools that help them manage some of the overwhelm and intensity that emerges on the healing journey. I also offer Therapeutic Touch and Table Work designed to support somatic resilience and regulation. Touch and table work is especially helpful for clients who have experienced developmental trauma. Since early developmental trauma is mostly pre-verbal and involves implicit memory (memory that is not connected to a specific event, also known as body memory), skilled and appropriate use of touch can be an essential part of the healing process. Establishing safety and trust is of the utmost importance when working with survivors. The way that I modify my approach to increase safety and accessibility for the survivor starts with trusting their innate abilities for wisdom, healing and empowerment. I encourage my clients to take the reins of their healing journey by trusting the pace at which they are ready to embark on their transformation while also lovingly nudging the expansion of their comfort zone. For those who live in Denver, I offer a transformational movement practice called Journey Dance. I structure the flow of Journey dance based on Somatic Experiencing principles. More information can be found here. I also offer both in-person and Skype sessions so that if clients are unable to come to my office, we can still work together from a distance. Connection and fit are key in working with survivors of sexual violence. As a way to get to know me before they make the important decision to enter into a healing relationship, I encourage prospective clients to schedule a FREE 30-minute discovery call. This way, they can ask any questions and gather as much information as possible before they commit. Related concerns: anxiety, depression, panic, flashbacks, fear, grief etc. I am able to offer sliding-scale services and I offer a free 30-minute consult so don’t hesitate to reach out and connect. Learn more about Maira’s practice in this blog interview “Somatics, Nature and Empowerment” where we discussed the way she has integrated her work guiding wilderness leadership trips, body-oriented therapeutic approaches and mindfulness into her practice with trauma survivors.